Discussion in 'Commissions' started by Kiyoteru, Dec 22, 2014. I decided to offer services to UTAU newbies to help them with their first voicebanks! There's two services, a free one and a paid-for one. If there's multipitch, I'll explain/do the organization, but you can try your hand at the rest of OTOing. If it's another style like VCV or CVVC, I'd rather be commissioned, but I can explain the theory. When I'm finished, you will be PM'd with a link to download your OTO and all the additional information. The design ref can be a full reference sheet, an MMD model, even a screenshot of a dressup game. Anything that lets me know what your UTAU looks like, in a visual format. Will not accept verbal description. Payment will be through PayPal, prior to beginning work. When I'm finished, you will be PM'd with a link to redownload your fixed voicebank, a link to the sketch, and all the additional information. Fill out this form if you're interested! Sonianjeriku Kagamine, comet3 and Tema like this. I need help with some oto fixes. Alright, I'll PM you when I'm done! EDIT: The rar you linked seems to only have 4 files in it... is this the right file? Hochii's has been finished, so there's now a slot open! Since I'm feeling in the mood again, I'd love to help out some newbies to UTAU with the OTOs of their first banks! I'll do the configuration and give you a fairly detailed explanation of what I did and why I did it/how it works. The knowledge of basic OTO theory should help you to understand how to go about OTOing your future voicebanks! >>> If there's multipitch, I'll explain how to set up the folders and such, but you can try your hand at the rest. >>> If it's another style like VCV or CVVC, I'd rather be commissioned, but I can explain the theory. Hi we talked on tumblr earlier! Extra Notes: Do you know how to make girl and boy versions of UTAU (Using same voicebank)? If so could you teach me how? Welcome to UTAforum! I'll get right to work on your bank. It is CV, and it has some extra sounds for other languages (With MAJOR work, of course). I tried OTOing, but I failed miserbly. Online guides are no help, and videos are mostly for VCV or are just useless. If you read this, thanks in advance! Extra Notes: So terribly sorry for the low volume recordings! I guess I just talk a bit too quiet. Thank you all for your interest! 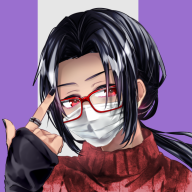 But starting from after I finish AkiraMarvell's bank, I will be making some slight changes to how the OTOing will go, and be adding additional paid-for services to help you with fixing up your UTAU and readying for release! @bold0727 If you'd like to be the first to receive those, you haven't missed out. Just let me know! Er, please don't. Mita makes me a bit. uncomfortable at the moment. I take it that you want the free service, then! I was honestly gonna do him anyway, I love his voice! ...And I wasn't asking for anything more. I feel odd when other people do things for me for free. Oh, alright. I just like helping people is all. I think my Utau is ready to be OTO-ed now. I don't have time to learn OTO-ing properly at the moment, so I decided to ask here (the academic year is getting to it's end so we have a lot work to do ). I'm mainly looking for OTO-ing, but if you think that some other things that you provide can improve the bank even more, let me know.